Since 1975, Medosweet Farms has provided full service distribution of fresh and frozen dairy products to food service businesses throughout the Pacific Northwest. The company’s goal is to offer the finest in locally raised, hormone free dairy products delivered direct to customers by an attentive and friendly staff. Hindered by an aging direct delivery system and broken internal process, Ken Yadon, Controller, Medosweet Farms, knew he needed a better solution to speed up his daily direct store delivery (DSD) operations and improve current processes. Because of the old DSD system limitations and reliance on manual, paper-based processes, Medosweet Farms faced significant challenges in ensuring inventory integrity, resulting in a growing number of spoiled and damaged products. Meanwhile, drivers were impaired by lack of insight into accurate account data, leading to excessive labor and overtime costs for drivers, and jeopardizing customer service excellence. “For forty years, we have been committed to improving the dairy and specialty food distribution service to meet the needs of our loyal customers. As our company grows, we continue to evaluate ways to improve our processes and the technologies to support them, to ensure the highest level of customer service,” said Ken. He and his team knew they needed a better way to execute delivery operations to maintain the company’s impeccable reputation. After evaluating and comparing the competition, Ken and his team chose AFS Direct Store Delivery (DSD) to meet the company’s unique needs. AFS was selected due to its 30 years of experience working with distributors, its configurable approach to solutions, integration with ERP and its rapid time to value. For Medosweet, AFS Direct Store Delivery provides seamless, access to direct store delivery operations. As a result they experienced increased productivity—which had positive impact on Medosweet’s bottom line. AFS DSD Mobile solutions also seamlessly link field services to office operations for full visibility and tracking across DSD operations within the business. This tight integration enables faster reconciliation time at customer sites, ensuring a drivers’ time is spent efficiently and customers are satisfied with every transaction. In the field, users complete all the days’ activities with an easy to use handheld device. Delivery tickets and future orders can be created, payments collected and signatures received and archived. The solution tracks on-truck inventory throughout the day and routes are reconciled once all deliveries are complete. The sophisticated yet easy to use system can be configured to change or expand to meet specific customer needs, critical for Medosweet’s unique delivery and stocking program. Soon after implementing AFS Direct Store Delivery, Ken and his team noticed significant efficiency gains including streamlined delivery operations, increased driver effectiveness and improved customer service. Ken notes, “Drivers were immediately impressed with the easy to use handheld devices, loaded with accurate customer information. As a result, they have cut down on the amount of time spent in the backroom at each delivery, per route. It saved the company five hours per day, resulting in significant payroll cost savings.” The new handheld devices also quickly connected to printers, enabling faster invoice print times and required significantly less touches to complete a task. Medosweet also realized valuable efficiency gains in the warehouse as the new DSD system consolidates all customer orders onto one pick list, making it easier for warehouse employees to more efficiently load and unload trucks, cutting down on overtime. Armed with this accurate account information, trucks are now loaded with only the right amount of right products, making truck loads lighter, requiring less fuel and resulting in substantial cost savings. With this more accurate forecast of required inventory, the company could carry a streamlined selection and found this contributed to a significantly less product breakage and spoilage. The tight integration with AFS Enterprise was also a key differentiator and critical to the success of the partnership. “Previously, our inventory information was incomplete and often inaccurate due to the limitations of our former DSD solution. Now, through a seamless integration, account information easily flows between the DSD and ERP systems to ensure inventory integrity and orders are reconciled quickly and efficiently,” said Ken. AFS Direct Store Delivery offers Ken and his team a common, accessible view of critical data in order to seamlessly and efficiently synchronize day-to-day operations and has been invaluable in improving the overall delivery service process to better serve customers. “By improving our delivery service operations, we can better serve our customers, maximize our resources and save the company valuable time and money. Our strategic partnership with AFS is essential to our company growth and expansion and we couldn’t be more impressed with the impact it’s made on our business.” Medosweet Farms is currently in the process of rolling out AFS Direct Store Delivery to its sister operation in Oregon to replicate the improved delivery service processes now in place. Learn more about AFS Direct Store Delivery. 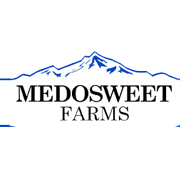 Medosweet Farms is the Pacific Northwest’s premier provider of dairy and specialty food distribution services. Visit www.medosweet.com to learn more.